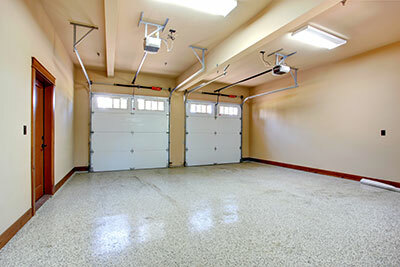 The electric operators of garage doors are necessary for the automatic operation of the system. They are electric powered mechanisms with a motor which must have enough power to move the door. The power is transferred by the motor to the door through a drive guide like a chain. The door arm at the other end pulls and opens the door. These days, all garage door openers must comply with UL 325. In other words, they must include photo eyes and a reverse mechanism as well as a release cord which will be pulled in emergency situations. These are the main safety features of new age door operators and ensure the door won't close on anyone or anything. Through its great service, Garage Door Repair Anoka ensures safe opener performance for all customers. We service garage door openers with perfection and give attention to the good operation of the reverse mechanism. This is one of our priorities during opener maintenance and one of the reasons for emergency garage door repair. When the reverse mechanism doesn't work well, your safety is at stake. We make sure one of our technicians is sent to your house as soon as you report related issues. Thanks to our proper organization, conscientiousness and excellent knowledge of electric door operators, we guarantee immediate response and repair. As masters in Genie and Liftmaster service, we can recognize a problem when we see one. We excel in opener troubleshooting and repair damage with any part of your operator fast. You can trust our team for the replacement of the current Marantec or Craftsman opener and you can be certain that the installation of the new Sears or Chamberlain operator will be done perfectly. We don't simply make sure the opener is installed and fastened well but every part – with special attention to the safety features – is also installed at its proper position and well. We excel in garage door opener repair services due to our expertise but also our dedication. Do send us an email if you need assistance with your opener.